Trendy yet real and far from the stereotypes! Sante Sofa Set will decorate the homes that reflect a modern and refined style in a pleasant way. Rich colors of flowers and sunshine, every tone of green or the wood texture. Whatever your style is; definitely consider adding details reminiscent of the nature to your house this season. Sante Sofa Set offers one of the best ways to show the reflections of the nature in modern urban homes. Many textures are used together without confining into a single trend. The "natural" is emphasized with the patterns and color scale. The emerging result is inspiring: Today's modern silhouettes are given a sophisticated look. Different yet harmonious style synergies complement each other. 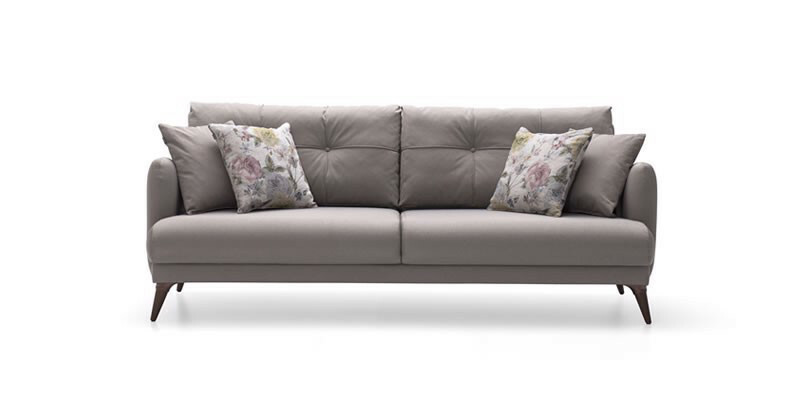 Combining the Sense of Trend with Decoration Awareness: All parts of Sante Sofa Set have calm lines. 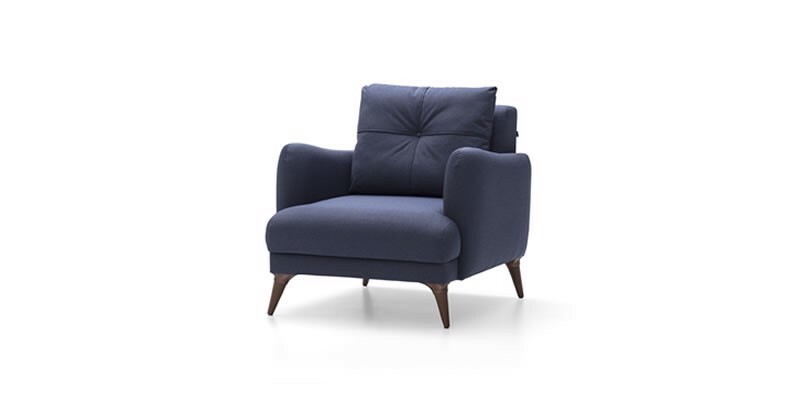 The buttoned stitching on the cushions combines with the slim armrests and long wooden legs, creating an elegant look. The spacious sitting duplicates the comfort of the sofa set, thanks to the folding option of the three seats and doubles. While metal details at the legs provide an energetic style; cushion options make it possible to make a fine touch in your style. Our decoration suggestion for Sante Sofa Set: May the lively and bright light of white enlighten your path. Let the minimal fair parts complement your house to be enlivened with books, magazines and flowers. Let the light hardwood further extend the spaciousness. Let emerge a home that is both trendy, different and livable. 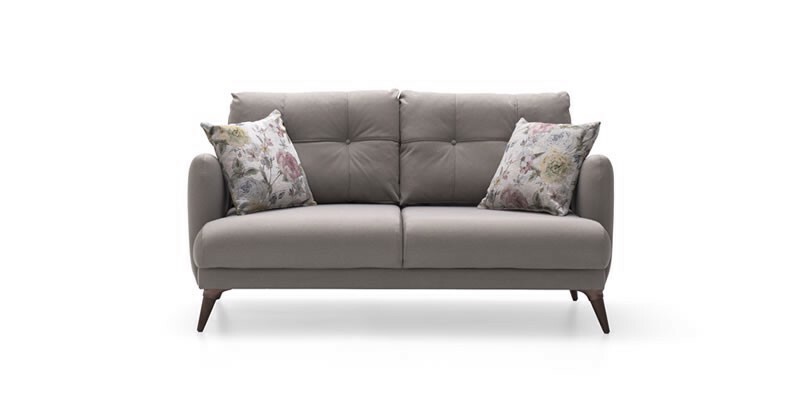 The sofa set, which would reflect your "Cool", comfCOFFEEble and plain style, Sante, is at Doğtaş. SANTE Quality hidden in details.